1. Start with dipping sauce. 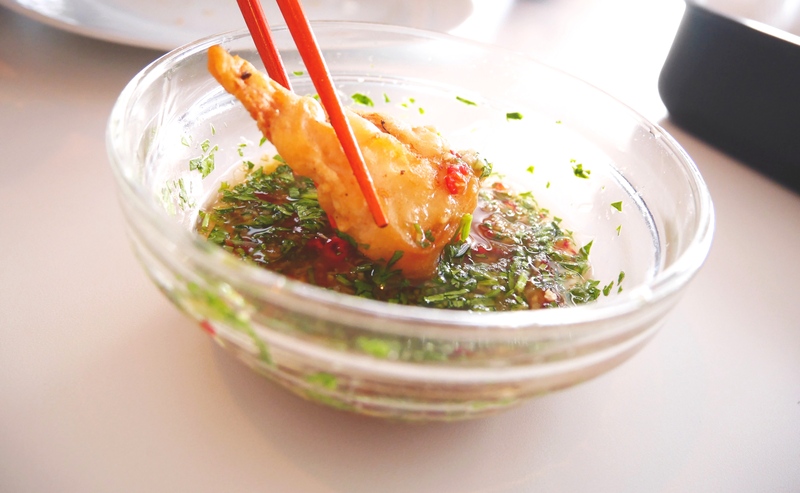 Mix the fish sauce, lime juice, sugar, grated garlic, ginger and chili and stir until the sugar has melted. Add the coriander leaves at the end. Set aside. 2. Cut the chicken into approximately 2×3 cm pieces. 3. Mix rice flour, baking powder, salt and water. Whisk the egg white into foam and fold into the batter. Mix the chicken pieces in the batter. 4. Heat a deep frying pan with about 3 cm of oil in the ground. The oil should be 180 degrees. 5. Fry the chicken pieces in the oil, a little at a time. Let the chicken become golden and crispy, put the done chicken on a folded paper towel to drain. 6. Cut the broccoli into florets. 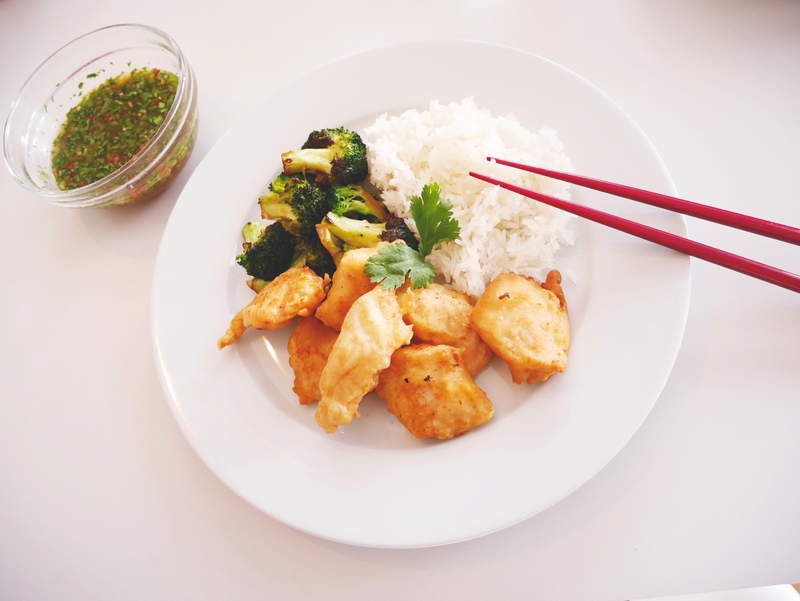 Fry everything in a pan, turn on soy and let it fizz up in a few minutes. 7. 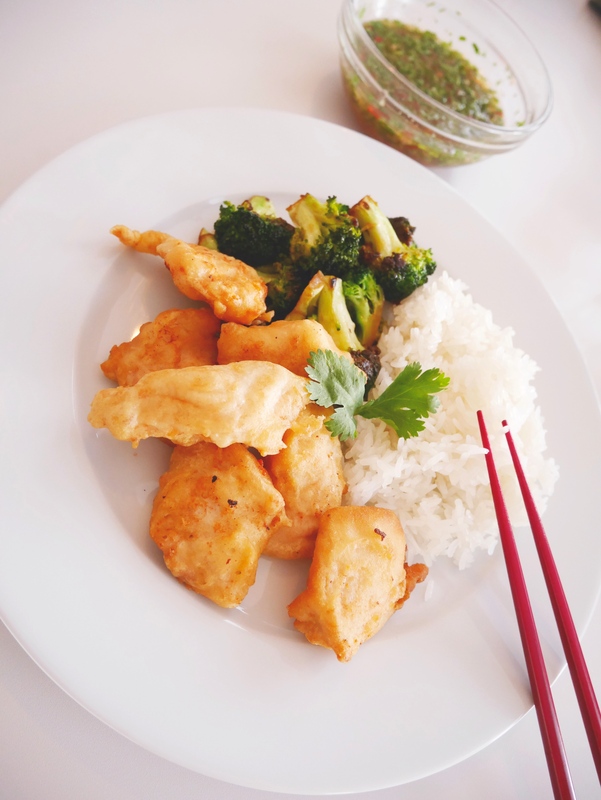 Serve the chicken with the sauce, steamed rice and soy fried broccoli.